Hello, everyone! Are you having an enjoyable summer? We hope you are enjoying studying with us – we had a lot of fun at our regular sushi workshop and were glad that you could make it! 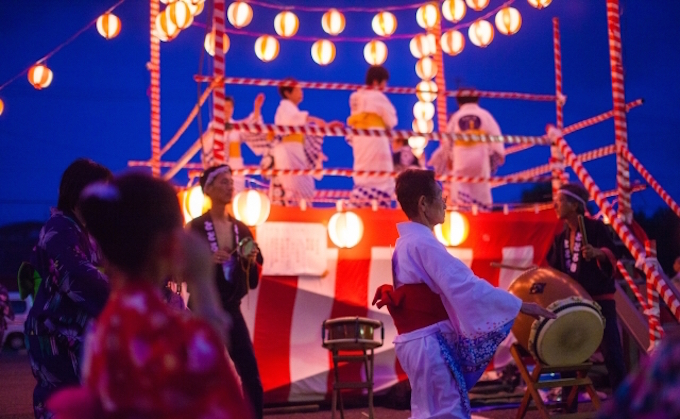 We have an exciting announcement, the last weekend in August, the Azabu Juban Noryo Matsuri will be taking place on August 25th and 26th. It is the largest festival of its kind and attracts many visitors every year. Attractions include rows of stalls selling food and local specialties, as well as bands and many other kinds of performances. The Coto Club Team, will have a booth at this festival! We have a few other upcoming events, we will be conducting a kaleidoscope workshop, which was very fun the last time we ran it and we hope that you can join us. We are excited to be setting up a booth for the first time. We will even be wearing matching Coto Club T-shirts to show our Coto Club Spirit, so we hope that everyone will come visit us at the festival and show us support!